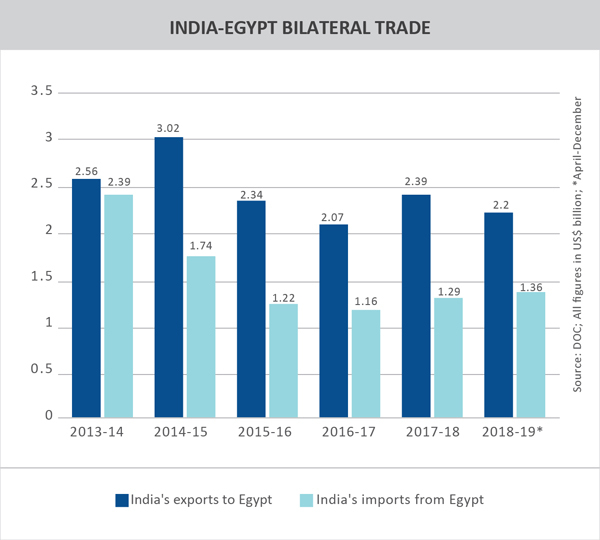 • India-Egypt trade has increased by over five times in the past 10 years to reach US$ 3.68 billion in 2017-18. • Both countries have made a commitment to increase bilateral trade to US$ 8 billion in the coming years. • Egypt’s strategic location, trade agreements with over 70 nations and strong bilateral relations with India make it a promising hub for investment by Indian companies. • The Suez Canal Economic Zone is an emerging investment zone that Indian companies can consider to expand their business presence in Egypt. India and Egypt share a long and incredible history of bilateral ties that date back to ancient times. The edicts of Emperor Ashoka allude to his empire’s connections with Egypt under the reign of Ptolemy-II. In the more recent past, this association is reflected in the close relations and shared visions of Mahatma Gandhi and Saad Zaghoul; as well as Gamal Abdel Nasser and Jawaharlal Nehru. 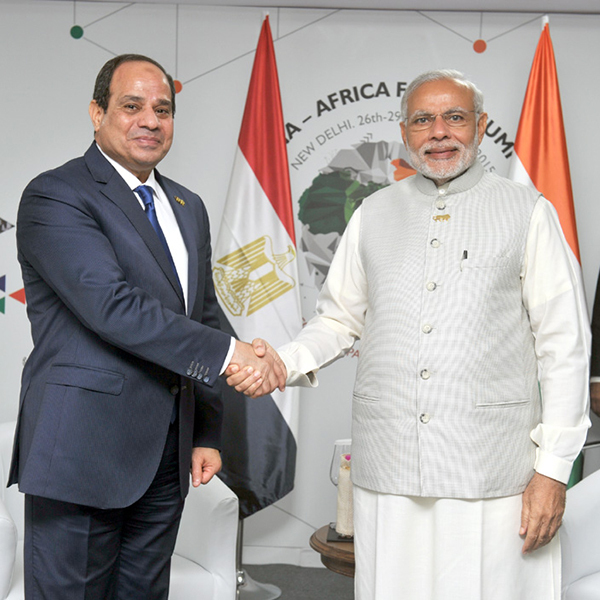 During a state visit to India by the latter in September 2016, Indian Prime Minister Shri Narendra Modi and Egyptian President Mr. Abdel Fattah el-Sisi issued a joint statement that highlighted political security cooperation, economic engagement & scientific collaboration and cultural & people-people ties as the basis of bilateral partnership. The India-Egypt Bilateral Trade Agreement, which is based on the Most Favoured Nation (MFN) clause, was formalised in 1978. Bilateral trade increased by over five times during the past 10 years and stood at US$ 3.68 billion in 2017-18. India’s exports touched US$ 2.39 billion, while imports reached US$ 1.29 billion during the year. After sustained engagements between government officials on both sides, India and Egypt have set a target of US$ 8 billion for bilateral trade. Investment in the Egyptian economy provides significant growth opportunities for businesses. The country’s location has made it a strategic hub for trade routes between Europe, Africa and Asia. Moreover, bilateral trade agreements provide convenient access to a consumer market opportunity of 2 billion across Europe, Asia, the Middle East and Africa. Egypt has trade relationships with over 70 countries representing more than 40% of global GDP. There is a strong case for Indian businesses to explore possible avenues of investment in Egypt. The Suez Canal Economic Zone (SC Zone) is one such promising investment zone spanning an area of 460 million sq m and consisting of 4 industrial areas and 6 sea ports. Two of them are integrated areas on the entrances of Suez Canal. The SC Zone aims to attract industrial investors, logistical investors and operators, sea port operators and infrastructure-related entities. 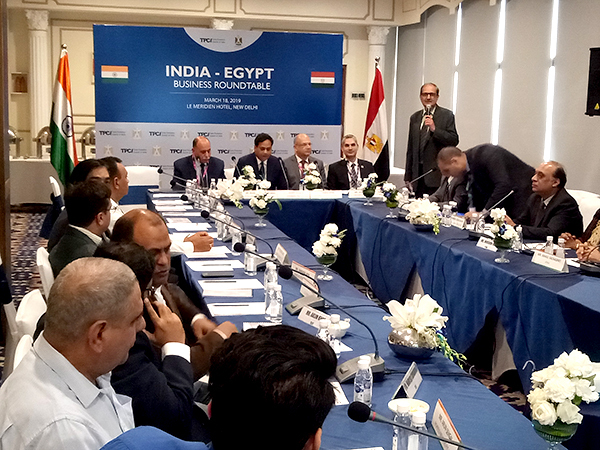 Trade Promotion Council of India (TPCI) organized a roundtable seminar for its members with a visiting Egyptian business delegation comprising the SC Zone and East Port Said Development Company on March 18, 2019 in New Delhi, in association with the Embassy of Egypt. During the business roundtable, Mr Mohit Singla, Chairman, TPCI urged Indian industry to consider investment prospects in the SC Zone in order to take advantage of the strategic location, duty concessions as well as the business opportunities that extend beyond Egypt to other key markets like Africa, Middle East, Europe, US and Latin America. – Doubling of Suez Canal to minimise transit time, cost of operations and attract new vehicles. – Establish a new road network of over 8,000 km that will ensure smooth connectivity between Egypt and the rest of Africa. • Low operating costs for labour as well as utilities like water, power and gas. • Streamlined processes and procedures, strong legal framework and single point of decision-making. • Facilitation for speedy setting up of business and smooth operations. • SC Zone has its own customs and taxes system that allows for flexible intervention in the interest of investments. East Port Said Industrial Zone (EP) is an industrial township being developed over an area of 16 million sq m within the SC Zone. Investors in this zone can also avail of various fiscal incentives, tax and customs exemptions. Indian companies have built a strong presence in the Egyptian market over the years. Some of the prominent names are TCI Sanmar, Tata, GAIL, Alexandria Carbon Black, Hetero Drugs Ltd, Sun Pharma, Dabur India, Godrej, Mahindra and Monginis. Over 450 Indian companies are currently in operation in Egypt, out of which around 50 are in the manufacturing and construction sector with an aggregate investment of over US$ 3 billion. Approximately 50% of these are JVs or wholly owned Indian subsidiaries. The rest have representative offices and are involved in projects for Government organisations. India’s presence spans a wide gamut of sectors including apparel, agriculture, chemicals, energy, automobiles, retail and others. Overall, Indian companies provide employment to around 35,000 Egyptians. Considering the positive trajectory in bilateral economic relations, Egypt’s strategic location as a hub for business investment, and a strong precedent in terms of successful forays by Indian companies, it certainly makes sense for Indian companies to explore investment opportunities like the SC Economic Zone for their long-term growth. RCEP negotiations: Is India destined for a losing proposition? Up-coming organization updates. Dont' miss things! Thank you for subscribing to Trade Promotion Council of India newsletter.